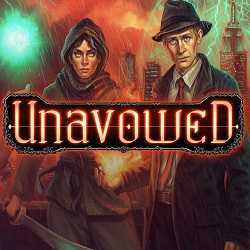 Unavowed is an Adventure and RPG game for PC published by Wadjet Eye Games in 2018. Fight the demon to save your city! A demon possessed you one year ago. Since that day, you unwillingly tore a trail of bloodshed through New York City.